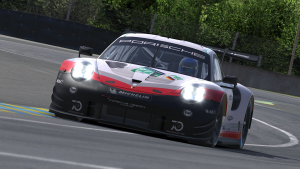 iRacing, a premier motorsports racing simulation company for eSports, is using Limelight Networks’ content delivery network (CDN) to accelerate large software updates delivered worldwide. Members of iRacing, which organises, hosts and officiates races on virtual tracks all around the world, update their software for the latest track and car information at the start of each 12 week racing season. Software updates range from 4GB to 5GB for existing players and up to 30GB for new members, however customers had complained of inconsistent download performance. To solve this issue, iRacing implemented Limelight’s CDN to improve performance and ensure all quarterly updates run smoothly. In addition, Limelight’s peering relationships with major global internet service providers (ISPs) ensure that regardless of where players are located or how they connect to the internet, they have the fastest download possible. Limelight’s high cache hit ratio ensures players can quickly download game files from local points-of-presence, rather than accessing them from distant locations. In addition, iRacing is using Limelight Origin Storage, which allows game files to be accessed and delivered quickly, even if they are not already in cache. These capabilities together with Limelight’s high data throughput rates, extensive peering relationships and private global network, lead to faster download speeds for iRacing’s software updates.